Indeed, the belt cleaning question can often be of greater importance for a bakery than price, belt tracking, maintenance, installation etc. If someone is able to present the “one and only” solution for the dirt problems, he would make a lot of money. But there is no such thing as a “one and only” solution……..
Over the last decades, several possibilities of belt cleaning have been thought of, tested and used. None of them, however, is with the 100 %-satisfaction for the tunnel oven operator. With these opening words let’s go into details and discuss all the different possibilities for belt cleaning, found during visits to bakeries worldwide. There is indeed quite a number of them, often used in combination and sometimes proving the “creativity” of the maintenance staff in the factories. OK, this is not really a cleaning method, but you find this more often than expected. The end users either have a “nice” bake product, which is not causing any dirt “headaches” or just live with the dirt problem and change their belt every ~1 ½ years. To keep the costs down, they buy low price and low-quality belts and “live” during the time of use with more often considerable operational and maintenance disadvantages. This is indeed the most frequently used method of belt cleaning. You find brush systems in nearly all tunnel oven lines. Depending on the oven-OEM their design of the brush cleaning system can vary, since everyone has his / her own “philosophy” behind. The brush wire hairs have to be of a material harder than the belt to show at least some effect on sticky and thick dirt layers. Therefore synthetic brushes are not recommended. 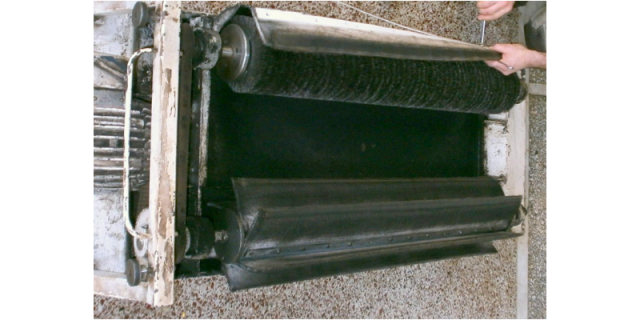 Most brush systems work only from the bottom side of the belt, but this means that some of the dirt is pushed back into the mesh holes. The brush(es) from below should be motor-driven in counter direction for a better cleaning effect. The brush from above must be positioned before the bottom brush and self-driven only without motor. Otherwise dirt loosened by this brush cannot fall through the belt mesh holes and with time something like a “dirt sausage” might appear. Like a carpet beater this motorized cylinder with needle felt strips should push against the belt from below, sometimes in combination with a brush (see below picture). The results are questionable (some dirt is pushed back into the mesh holes). As an alternative, some end users experimented with a system, in which little metal hammer pushed against the belt from below so that the caused vibration let dirt fall down. But these systems were not really successfully either. 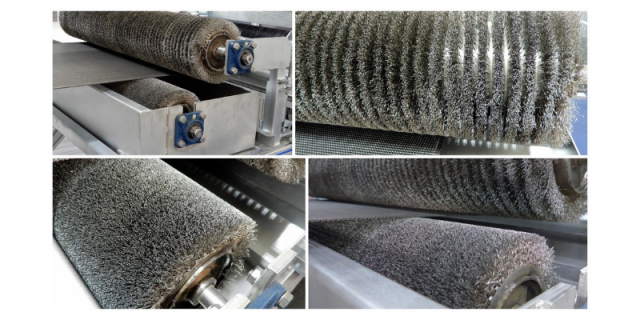 If dirt resulting from the product is not too greasy or fat and not sticking too firmly to the belt’s mesh structure, cleaning by hot air produces some results. Some end users blow it manually in certain intervals, other designed their own firmly installed hot air nozzle stations, which they can switch on and off as needed. At first sight, to clean a belt with a steam nozzle is not a bad cleaning method with less impact to the oven and its environment. However, it tends to only work for relatively loose non-carbonized dirt particles. Since the time needed for steam cleaning is the nearly same as water jet cleaning, most end users prefer the latter method. This is another quite popular way of belt cleaning, often used in combination with brushes. Again, for some ovens it is done manually in certain intervals, whereas some users build their own permanent equipment, which is installed as part of the oven. 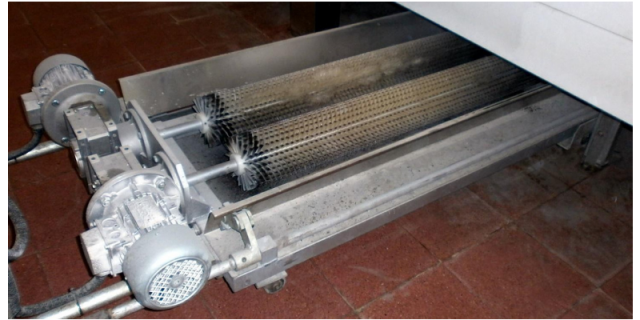 Recently a European OEM introduced a water jet cleaning equipment to be firmly installed at the oven exit. What to do with the considerable amount of waste water? 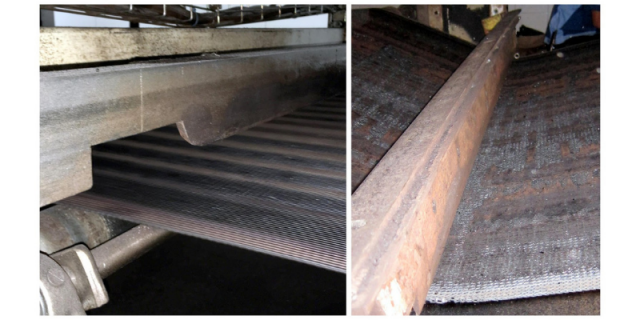 The belt has to be warmed up or dried immediately after the water jet cleaning to avoid rust stains on the belt surface (most of the tunnel oven belt are not in stainless steel). The principal handling is the same as water jet cleaning. It’s only that dry ice replaces the water. Clients report no big differences in cleaning results than with water jet, so it does not justify the considerable additional costs. 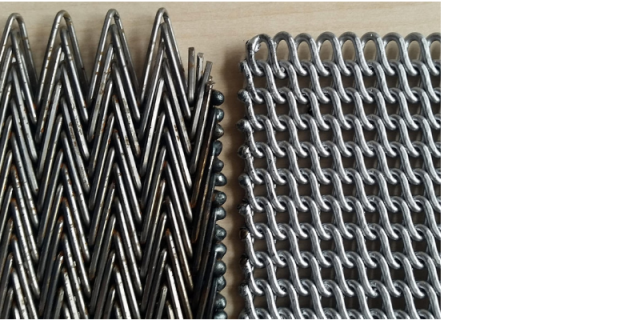 Additionally, the contact of dry ice to the belt wires results in considerable negative stress to the ionic lattice of the metal mesh, which might lead to wire breaks and definitely reduces the operational lifetime. Occasionally you hear from the market, that clients clean their belts by hand and rubbing the belt surface with cleaning detergents or some chemical substances with big balls of absorbent cotton. This is a labour intensive work and detergents might and chemical liquids will definitely react aggressively and damage the wires in making the surface rougher, so new dirt can stick easier to the belt. Furthermore, many such chemical “cleaners” are flammable. I recall a case, where a client used a chemical liquid for belt cleaning, but this substance was flammable and although he thought to have rinsed it off sufficiently an oven fire started when he began to heat up the oven. That was the end of the lifetime circle of the belt and the oven required some repairs. This is what most tunnel oven users are doing whether unintentionally or on purpose. The idea behind: the less humidity the dirt contains the higher the chance that it can simply be broken off the belt wires and surface. The strategy is to let the oven run empty without product and increase the oven temperature to a higher level (usually +~50 o C) to let the dirt carbonize. Then a good brush system has an easier job to clean off the dirt. There have been some tests, even by OEMs to install special “dirt burners” as part of the oven line, which could be switched on and off. But the results were below expectation. To heat up the belt in this special “chamber” with a length of only 2-3 m was not enough to achieve carbonization. I have seen it more than once, that clients were so “desperate” with their belt dirt problem that they developed some self-made scraper systems to scrape off thick mostly carbonized dirt layers. Scrapers might do a good job for solid steel belts but for mesh belts. This is still a comparatively new device. It is an additional “independent” non-motorized equipment that improves the efficiency of (good) brush systems. 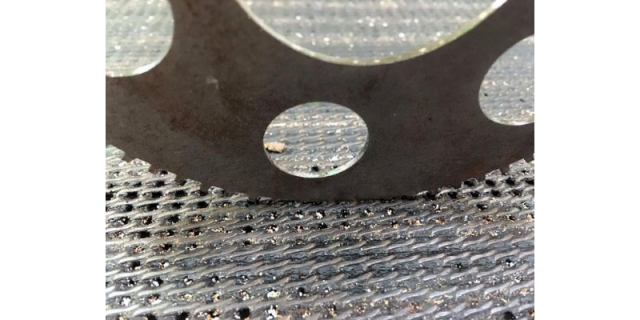 It consists of an individually designed cylinder with an arrangement of independent special sprockets, where the teeth punch into the belt mesh’s holes to break the dirt, so that the brushes following afterwards have a much easier job swiping off the broken dirt. Many users are satisfied with the cleaning results and slowly starting to install it in all oven lines possible. “The less wire surface there is in your belt, the less opportunities for the dirt to stick to the belt wires”. 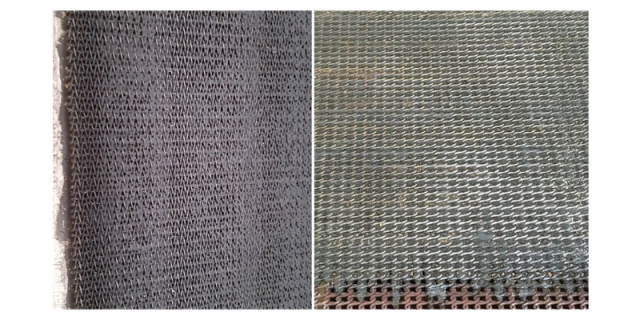 A client using a solid steel belt changed to a Z-Belt F2510 (aka ~Z28) with a very fine open mesh structure. In this way there was less surface for the dirt to stick on and brushes could be used more efficiently. A side effect of this change was that the open mesh structure reduced the energy costs since convection in the oven was now possible. Admittedly the consistency of the dough is an important criteria for allowing this change. When it comes to biscuit and cookies with a very high contents of fat and sugar it is pretty certain, that there will be a dirt problem with the belt. This dirt is very sticky and the mesh structures usually gets clogged very quickly, even when brushes are used. Traditionally in 8 out of 10 cases the standard “Z47”-belt is used (aka as F4012), often for dough with high fat and sugar contents. 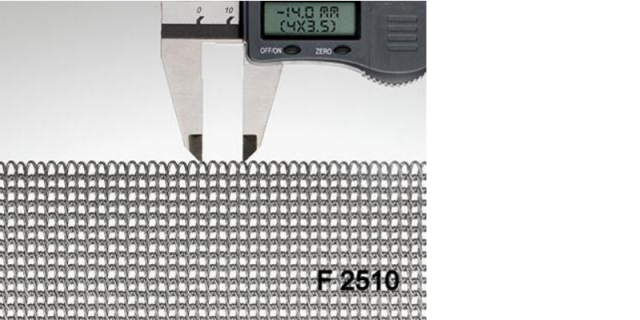 But there is also a belt type F6014 (aka~Z48), having the same weight and an identical mesh structure but with a more favourable and open ratio between wire thickness and mesh opening. Bakeries who had the “courage” to change from F4012 to F6014 never regretted it. They changed as many lines as possible to this type of belt. 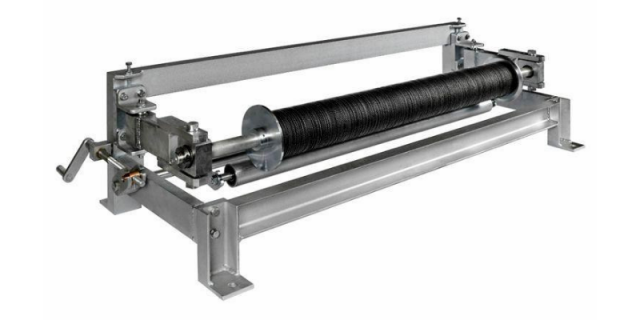 Balance weave belt types like CB3 or CB5 have a very high density and weight. There is no real mesh opening. Consequently, the open mesh area is very low and their behaviour in cleaning and brushing is nearly the same as for a solid steel belt. Despite this, in some parts of the world (maybe “out of tradition”) they are the standard belts used in tunnel oven even for biscuits, cookies or snacks. 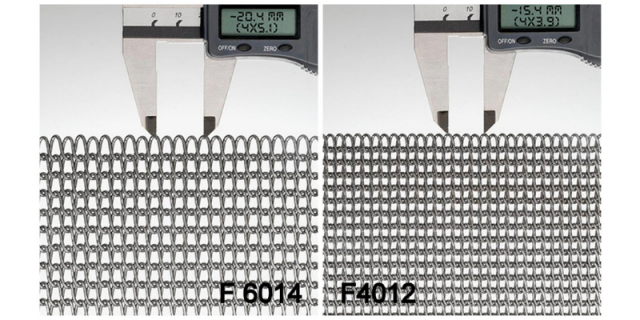 Very often the very high weight and their good heat storage is used as an “excuse” to stick with this balance weaved belts instead of changing to an open mesh Z-belt. Eventually, however, some bakeries ran into the “risk” of changing to a Z-belt. Their decision was made easier by the situation that now high or heavyweight Z-belts F4015 (~Z47R) and F4018 (~Z47RR) exist. None of the bakeries that switched to these new Z-belts regretted their decision. They report less energy consumption, better baking results, increase of output and most of all improved cleaning results. But it is up to the end user to make decisions and actions. A good belt supplier is always willing and happy to help with his experience. Thank you to all the clients around the world, giving me and my company possibilities to help them with their problems, to develop and find new ideas and maybe solutions. Thank you for the trust. Another big thank you also to our friends at the OEMs, who realized that often oven builder and belt producer are in the same boat and have common interests. The last thank you goes to a lady PhD in Seattle, US, for lecturing this article and correcting language insufficiencies, wherever necessary. Stencilling and depositing machines usually require the presentation of biscuits in rows on a conveyor up to one metre wide.